In the northern half of the earth it’s finally spring all month long. Warmer, longer days are pleasant but can bring new health challenges and opportunities. I hope you can take advantage of the warmth to be outdoors doing fun and healthy activities-walking, biking, swimming, gardening, playing with kids. I’ll share some posts to help you do those activities safely. On April 19, 1995, a domestic terrorist left a bomb in a truck in front of the federal building in Oklahoma City, Oklahoma; I had lived there for 7 years while in medical school and residency. 168 people died, including 19 children. Until 9/11/2001, it was the largest loss of life due to terrorism on U.S. soil. The incident was shocking and traumatic to our entire country but especially here in our state. Oklahoma is usually a peaceful place; we deal with tornadoes and floods but not bombings. So every year we remember the victims, their families, and especially those who rescued the wounded , and the survivors who rebuilt their lives. The featured image at the top of this post is a beautiful dogwood tree. They bloom in the spring here in Oklahoma. Here are some affiliate links you may find helpful. Thanks for considering. 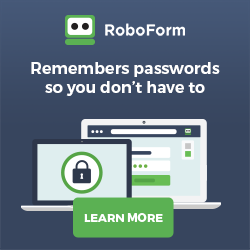 RoboForm Password Manager. What I use to manage passwords. Physicians often do other things besides practice medicine. Many have hobbies and travel extensively. Many do spiritual ministry and other volunteer community activity. I know doctors who dance, sing, play instruments, act, and do comedy. Others own and manage side businesses. But probably the most common non-practice activity that doctors do is write-like me, and other physician bloggers. 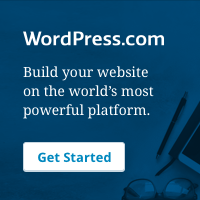 When I started blogging 4 years ago, I knew few other physician bloggers, but the number has grown so large I know few of them now. Doctors write health and medical books and blogs of course, but they cover other topics too-finances, travel, food, family, parenting, spirituality, fashion. They’ll usually throw in their unique perspective as a physician in approaching these non-medical topics. And they don’t all write non-fiction; doctors write novels too, some of which get made into movies. I’ve reviewed or referenced several books written by physicians. In this post, I’m listing links to those reviews. along with a brief excerpt. I hope you’ll bookmark this page so you can come back and read all of them if you don’t get to them all now. Enjoy exploring the HEART of health with these physician writers. This memoir is not so much a diary of what happened to Dr. Kalanithi as what happened within him as he confronted his own mortality and chose not to let it define the remainder of his life. On the copyright page, “Death and Dying” is included in the list of categories for this book. However, you will not find “how to die” instructions here. Instead, you will learn how one man and his family chose to live despite knowing that he would soon die. When she applied for a position in New York City at the NYC Office of the Chief Medical Examiner (OCME), Dr. Judy Melinek never imagined that decision would plunge her into the nightmare of September 11, 2001. She was at the ME office that day when the Twin Towers were attacked and fell, killing thousands of people. I thank my colleagues for sharing the HEART of health, both in the exam room, the operating room, the emergency room, the clinic, and at their own computer. Spring Break Promotion – 15% off Fiction titles @ eBooks.com. Use Code: springbreak$cp. Valid until Apr 1 Spring Promotion – $5 off $45 @ eBooks.com. Use Code: springebookscp. Valid until June 20.